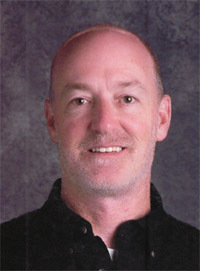 Mr. Burkey received his Bachelor of Science in Mathematics from the University of Science and Arts of Oklahoma. He received his Master’s in Educational Leadership from Cameron University. He started his teaching career in Norman, OK where he taught for 7 years. He then taught for 2 years in Wayne, OK before finally settling in Lawton, OK where he taught for 13 years and has been an assistant principal for the last 4 years. Mr. Burkey has been married to Deanna for 23 years. They have 3 children and 3 grandchildren. Amber Wuergler is married to Bren Wuergler and they have 2 sons, Gavin and Gabe. Jessica Wilson is married to Jared Wilson and they have 1 son, Kaiden. Michael Burkey is not yet married. When he is not involved in school activities, Mr. Burkey enjoys gardening, cooking, baking and travelling to see the grandkids.